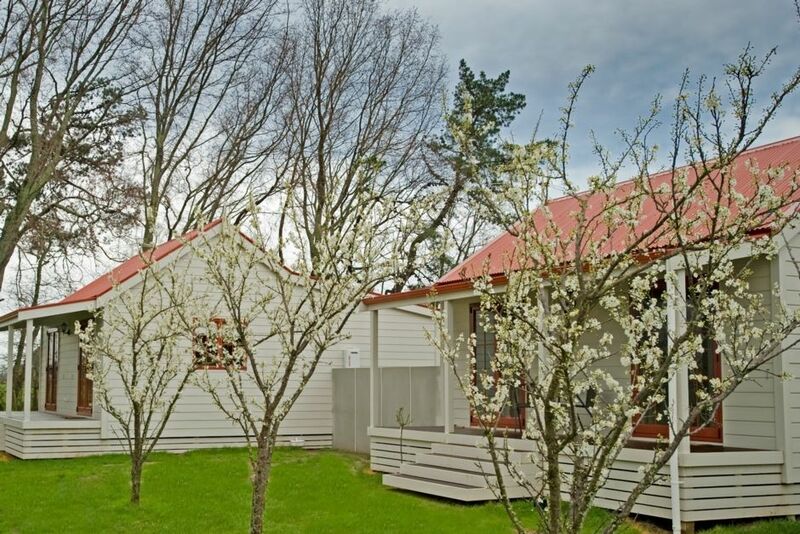 Terracotta Lodge Bed and Breakfast and Luxury Cottage accommodation in Carterton, Wairarapa is set amidst a beautiful garden featuring abundant fruit trees, a peaceful duck pond, and panoramic views of the Tararua mountains. Each motel-style Bed and Breakfast Room is beautifully appointed with garden vistas and offers ensuite bathroom, fridge and TV. The BandB rooms are a perfect motel alternative with separate private entrance, quiet location and off-street parking. If the dates are booked on the calendar please contact us as 1 may still be available. Each Garden Cottage is complete with Hair Drier, Shampoo and Conditioner. Fantastic stay - Thank you both for making us most welcome. Lovely modern accommodation in lovely rural setting, couldn't ask for more! Great size cottage for our weekend getaway and close to all the boutiques and stores I wanted to visit in nearby Greytown. Had everything we needed for our stay. Did have a few native cockroaches scuttering about. Thankfully my partner is a pest guy and was able to shoo them back outside. Perfect little cottage in perfect surroundings! My husband and I thoroughly enjoyed our two nights stay. The cottage was neat, clean and cosy. Will definitely be back for sure! Thanks so much Jim and Sylvia! Thank you Lesley for choosing to stay at Terracotta Lodge. We are pleased you enjoyed and look forward to seeing you both again, also for our valued repeat clients we offer. Stay 2 nights then stay a 3rd night for free. Loved our stay. Only thing missing was a gas bottle for the bbq. A great place to stay - quiet, good quality facilities, comfy and homely feel.